I brought the car as i really wanted a rallye but they were all quite alot of money and all the ones at the cheaper end of the market needed body work which i can't do myself but anything mechanical i can sort. So when this gti came up it fitted the bill perfectly i was none sunroof had the side strips removed and the ones in the bumpers coulour coded. 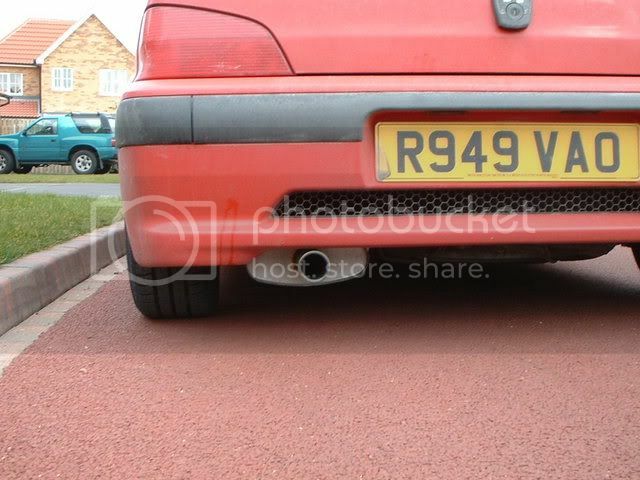 But the rear beam was shot as it camber and it was so low the front two shock were also leaking. 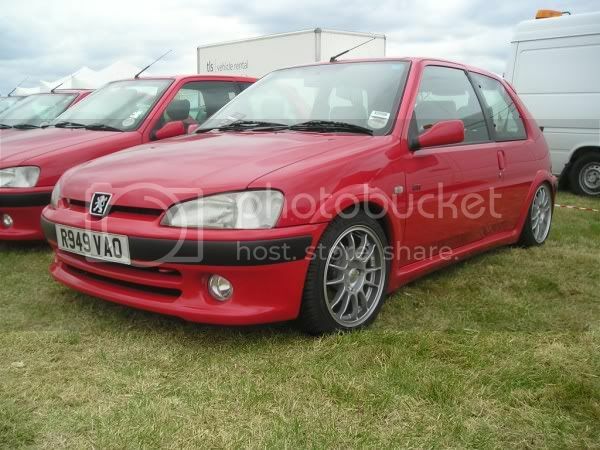 None of that put me off as it was the right price and i had my old blaze gti for parts as i was going to use what i wanted from that and break the rest. 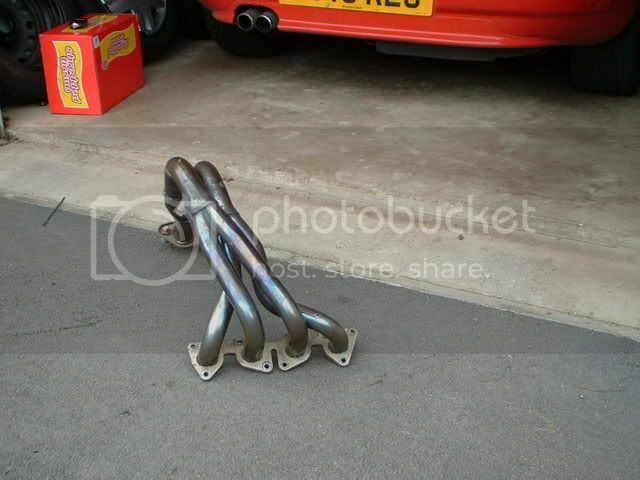 While browsing ebay the other week i spotted a pair of brackets and bells for the Hi-spec 300mm kit. Then a coulpe of days later a brand new brake kit for a golf was listed really cheap buy a guy that was giving up on his kit car project, and they were buy it now too so they were snapped up quick! This then left me needing a pair of hoses and some discs hence the trip down to hi-spec. Result is i now have a 2 piece 4 pot brake kit with all parts except bells and brakes brand new for a third of what they charge new! Never saw your other thread, must have missed it, but that is reallllly nice fella, great job. Some of you may hate this but who cares decals are on! 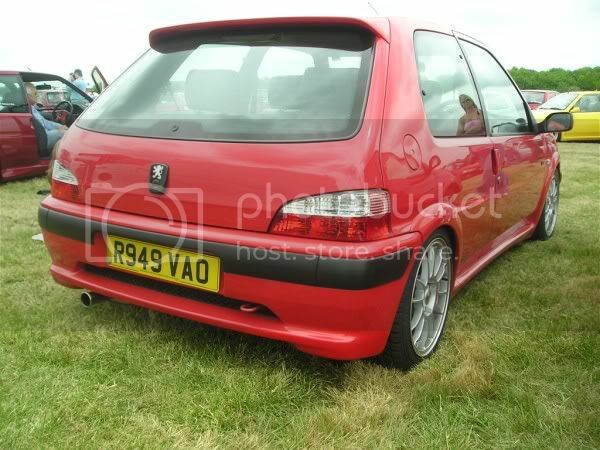 I'd get a bootlid without a spoiler now, will look even more Rallye then. 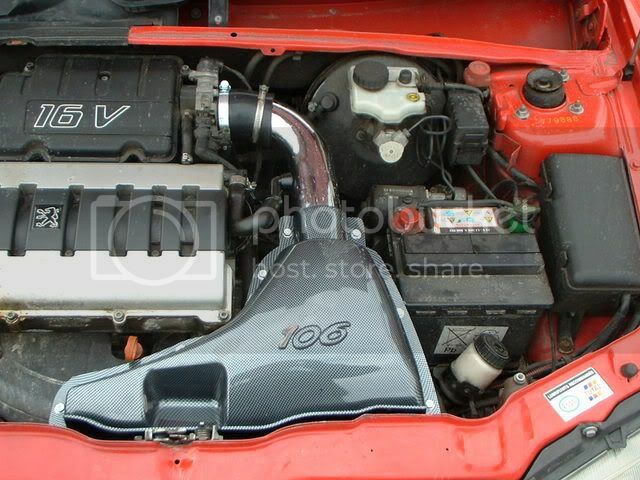 I've got the cammed engine that was in the gold gti into it's new home in this car, i made a few changes while it went in and fitted some c2 cam covers, black diamond clutch, s2 rallye gearbox and a new drivers side driveshaft as the old one was goosed. Really pleased with the result it's alot more relaxed and nicer to drive than it was with the s1 rallye box. Looking good dude. Wheres the cage gone from the Blaze Gti? Last edited by profile_bmx; 04-11-2009 at 02:46 PM. I need to get some current pics seats have gone now and been replaced with a pair of cobra evo's and it's got a full saftey devices cage in. Just need to tidy it all up! Ooooo get pics of cage.. Im on the hunt! 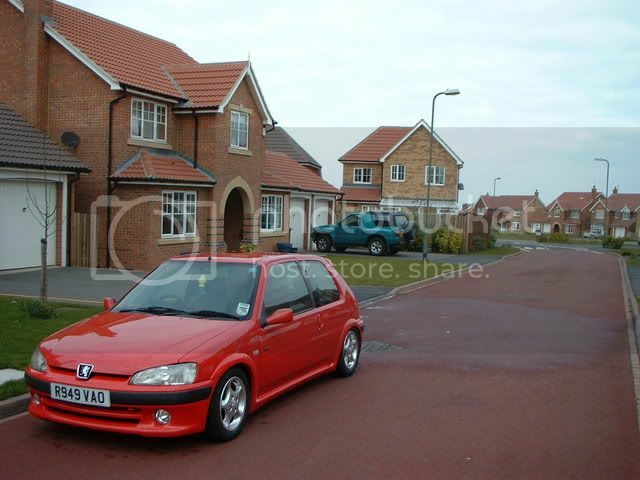 Pics of when i got it to how it was at its best before i sold it standard! It looks alot better when you had it than when i brought it!! Last edited by zebedee; 30-01-2010 at 03:55 PM.